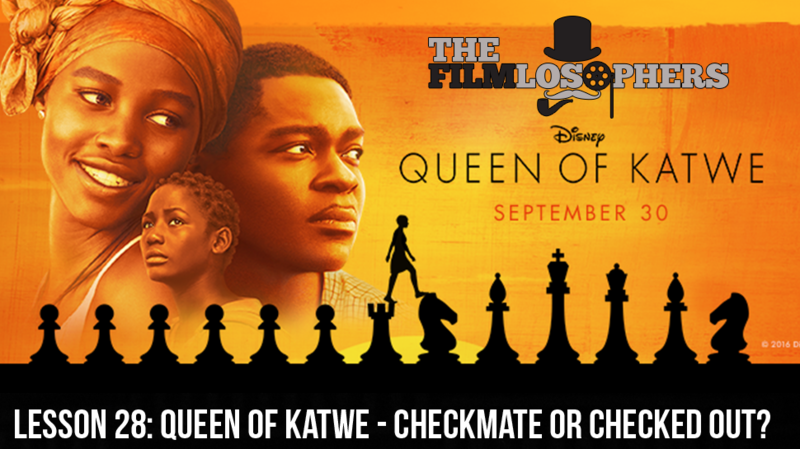 Lesson 28: Queen of Katwe – Checkmate or Checked out? The Filmlosophers, Eddie Villanueva and Chad Riley, review and discuss Disney’s third live-action film of 2016, Queen of Katwe. Starring newcomer Madina Nalwanga, Lupita Nyong’o, and David Oyelowo, the film accounts the journey of a young girl with dreams of becoming a Chess Champion. Helmed by director Mira Nair, we contemplate the film’s impact in the Oscar race, and ask the question whether the film’s unique story-telling will win over moviegoers, as well as critics, alike.